Handford, Martin. Very Good. Where's Waldo Now? by Handford, Martin, 2007-04-10. Trade paperback (US). Picture book. Glued binding. 32 p. Contains: Illustrations. Where's Waldo?. Intended for a juvenile audience. Handford, Martin. Very Good. Where's Waldo Now? by Handford, Martin, 2002-08-01. Sewn binding. Cloth over boards. Picture book. Contains: Illustrations. Where's Waldo?. Intended for a juvenile audience. Handford, Martin. Good. Where's Waldo Now? by Handford, Martin. Trade paperback (US). Picture book. Glued binding. 32 p. Contains: Illustrations. Where's Waldo?. Intended for a juvenile audience. 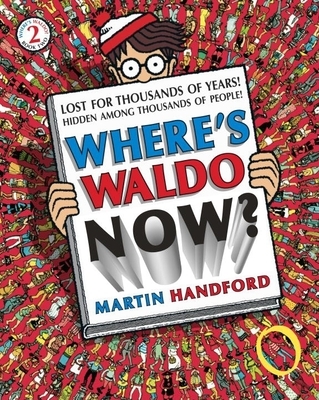 All Editions of Where's Waldo Now?